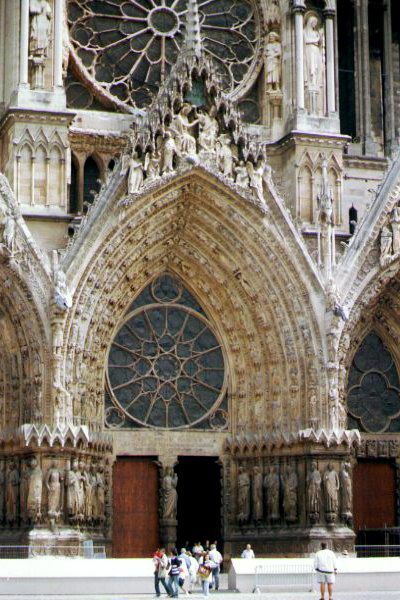 The Cathedral of Notre Dame in Reims one of the masterpieces of Gothic art. The former abbey has conserved its very beautiful 9th century nave, in which lie the remains of the Archbishop Saint Remi, who instituted the Holy Anointing of the kings of France. VIEW: More images from the category Reims .